When the sun beats down in Houston and your patio is uncovered, the relentless heat can quickly ruin a backyard party or barbecue. Everyone loves a little bit of comfortable shade. Let the professionals at Home Remedy solve your exterior shade problems with a patio cover installation, or arbor. 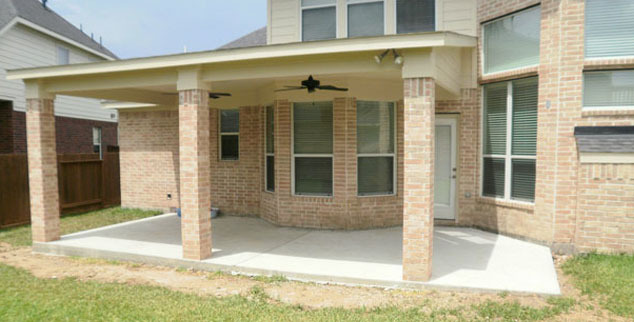 We are professionals in exterior remodeling throughout the greater Houston area and can provide quality installation of a patio cover or shade structure to keep you comfortable when the Texas sun just gets too hot. Our craftsmen are dedicated to your complete satisfaction. We utilize the best in weather-proof materials for the construction of your patio cover or arbor. Contact Home Remedy today for an estimate. This is one great way to remodel your Houston home.